In a food processor add sun-dried tomatoes, basil leaves, garlic, pine nuts and parmesan. Mix together and slowly add in oil olive (and cream) until it becomes a thin paste. 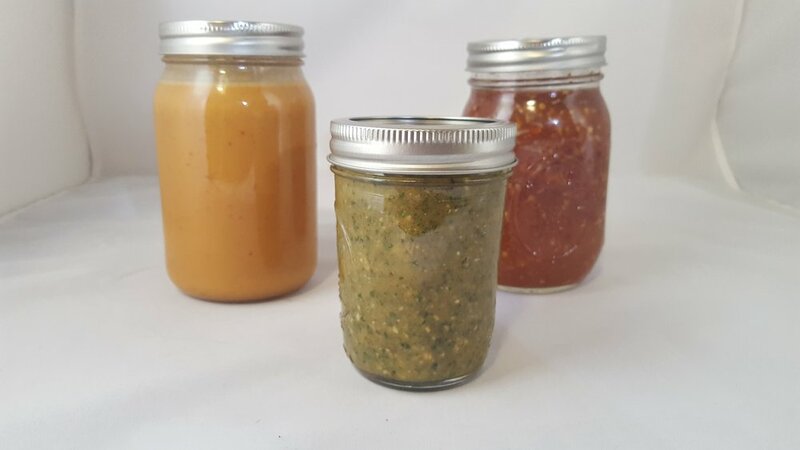 Use on pasta or as a spread for sandwiches. When using on pasta, make sure pasta is hot, and cook pasta and sauce for about 3 mins on stove. Pesto can be refrigerated for about a week. Place cauliflower roughly chopped in food processor or blender to get small crumbles. Place crumbles in the microwave for 4 minutes. Allow to cool for 2 minutes place in blender along with cream and butter. Blend until smooth. Pour sauce into a pan and bring to a simmer. Add salt and pepper to taste. Enjoy on your favorite pasta with little guilt! Mix all the ingredients in a pan over low heat for about 5 minutes until peanut butter is melted. Make sure peanut butter is complete melted. Transfer to airtight container for storage and use on EVERYTHING! This makes quite bit of dressing, it can last a month or so in the refrigerator. Also heating deepens flavor, but it is not necessary if you are short on time. In a food processor or blender, mix everything together. Place in airtight container. 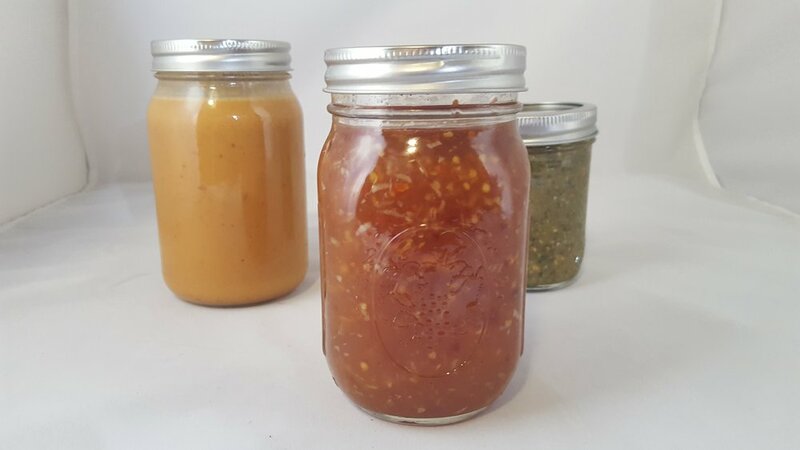 Sauce can last about a month in the refrigerator. In a small pot over low heat add garlic, honey, vinegar and water. Start with 1/2 tablespoon of red pepper flakes and gradually increase for desired spice level, up to 1 tablespoon. Heat should be subtle, if you add too much spice, adjust using vinegar (one tablespoon at a time). Increase heat to medium and bring ingredients to a gentle boil. Mix water and cornstarch and add to boiling mixture. Lower heat and stir continuously as mixture thickens. Remove from heat, allow to cool. Place in airtight container for future use or enjoy immediately. Sauce should last about 2 months in airtight container. Peel and rinse tomatillos. On a baking sheet place tomatillos, onion, garlic, and jalapeño oiled (1/2 tablespoon) and salted (1/4 teaspoon salt). Bake at 400 degrees for 15 minutes. Allow ingredients to cool before handling. 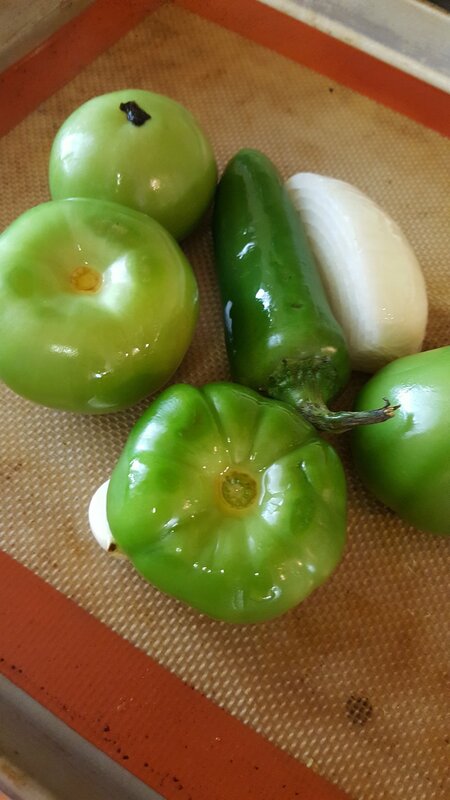 In a food processor or blender add roasted ingredients, cilantro, lime juice and pepper. Blend or pulse until your get desired consistency. If you prefer some texture, blend less, pulse more. Taste before seasoning any further. Ingredients can also be dry roasted in a pan on top of stove over low heat for 20 to 30 mins. This works best with a cast iron skillet. Skins should get charred, but not burnt. Use on meats, rice, salads and chips, of course. 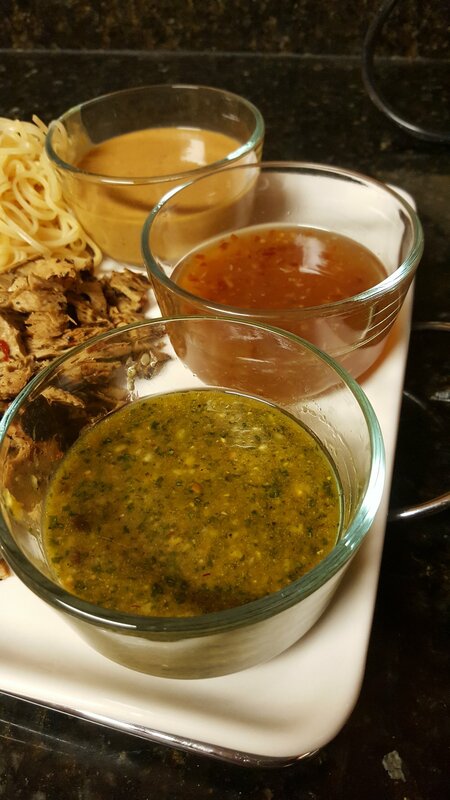 All of these sauces can be adapted to fit your taste buds. So go crazy!